We've been funding diabetes research for over 80 years and our scientists have transformed the lives of millions of people with diabetes. We want to celebrate their achievements and the exciting steps that lie ahead, and thank you, our supporters, for funding some of the greatest advances in diabetes care. Have a read of our first ever Research Impact Report (PDF, 4MB) and find out how, together, our research has brought us closer to a world where diabetes can do no harm. "I genuinely believe that without the study we may not have the family that we have today. I noticed that my blood glucose levels were within target range for much more of the time after I entered the study." 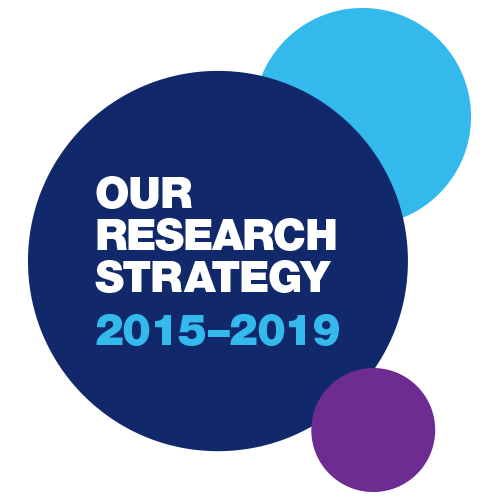 Research is at the heart of Diabetes UK’s mission to transform the care and prevention of all forms of diabetes and to help find a cure.Our Research Strategy(PDF, 3MB) highlights the scale of the problem we are facing, the vital need for new investment, and sets out our ambitious goals for 2015-19. We developed our Strategy by working closely with scientists, healthcare professionals and people living with diabetes from our Science and Research Advisory Group. They helped us to ensure that it supports the wider aims of the charity and meets the needs of researchers and people living with diabetes across the UK. Find out more about our goals and how we will achieve them in our full Research Strategy (PDF, 3MB). We believe it is innovative and ambitious, but we know we can’t achieve it alone. If you would like to help us achieve our goals and continue funding diabetes research, please consider making a donation. We award money to support new ideas proposed by UK researchers. We fund personal awards to help talented scientists and healthcare professionals become the diabetes research leaders of the future. We make targeted investments to support research in specific areas where there are important gaps or opportunities. In each case, our rigorous approach ensures that Diabetes UK funded research is of the highest scientific quality, has the greatest potential to benefit people living with diabetes and offers value-for-money to our supporters. Our approach is also flexible, to help us respond to new opportunities as they arise. Every year we evaluate the progress and impact of our work and report the findings in our annual report. We offer support to scientists and healthcare professionals working at universities and hospitals throughout the UK. Our funding pays for salaries as well as the equipment and materials needed to carry out diabetes research. Researchers request our support by completing an application form through our online portal. Each application is assessed (or ‘peer reviewed’) by independent experts from around the world, who consider the feasibility, cost-effectiveness and likely success of the proposed research. Each reviewer must be a senior researcher and have expertise in an area relevant to the application. To make sure this process is fair and impartial, we do not accept reviews where there are ‘conflicts of interest’, such as where an applicant and reviewer have worked together in the recent past. In addition to independent experts, each application is considered by our Grants Advisory Panel of people living with diabetes, who decide which applications are the highest priority for people with the condition. Twice a year our Research Committee of UK diabetes experts meets to discuss each application and make recommendations to the charity’s Board of Trustees about which proposals to support. They draw on a minimum of three peer review reports, the priorities assigned by our Grants Advisory Panel and the applications themselves to reach their decisions. Applications for Diabetes UK personal awards are considered separately by smaller panels of appropriate experts chosen from our Research Committee. Stop foot problems in their tracks by knowing what to look for.